U.S. Deputy Secretary of Energy Dan Brouillette kicked off the highly anticipated Solar Decathlon 2017 event in Denver this week. The international competition shows consumers how to save money and energy with affordable energy products available today. Hundreds of collegiate students from the United States and Europe have assembled at the 61st and Pena Station in Denver to showcase their highly energy-efficient, innovation-packed solar houses for competition. 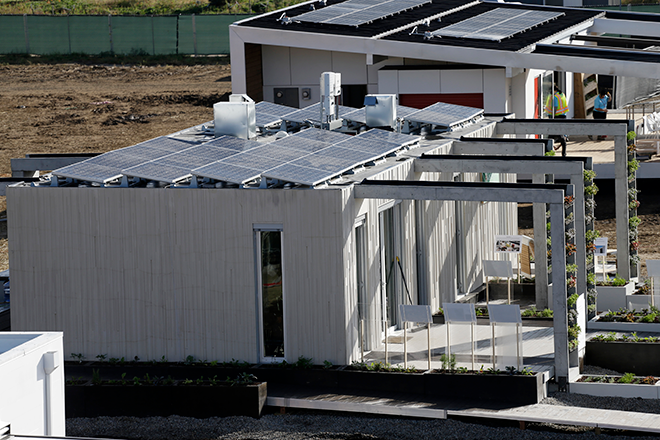 "The Solar Decathlon inspires and challenges college students to think creatively about energy innovation for the future through design," said Brouillette. "Students are actively addressing global energy challenges such as reliability, resiliency, and security by incorporating the use of innovative energy and water efficiency technologies into their professional projects." The U.S. Department of Energy (DOE) Solar Decathlon is a collegiate competition made up of 10 contests that challenge student teams to design and build full-size, solar-powered houses. This award-winning competition engages students from across the United States and Europe to develop the skills and knowledge to become the next generation of energy experts. The competition fosters collaboration among students from different academic disciplines including engineering, architecture, interior design, business, marketing, and communications. Over the last decade, the U.S. competition and its international counterparts have prepared approximately 35,000 students worldwide to become future innovators in clean energy technologies and efficient building designs. Thousands are expected to visit the houses, which will be open to the public free of charge for eight days over two weekends: October 5 to October 8 and October 12 - October 15 from 11:00 a.m. to 7:00 p.m. It will also be open October 9 from 1:00 p.m. to 7:00 p.m. Visitors are able to tour the houses, gather ideas to use in their own homes, and learn how energy-saving features can help them save money today. The overall winner will be announced, October 14. This Solar Decathlon is the eighth U.S. competition since 2002. This year's collegiate teams were chosen nearly two years ago through a competitive process. The selected teams and their projects represent a diverse range of design approaches, building technologies, and geographic locations, climates, and regions - including urban, suburban and rural settings. They also aim to reach a broad range of target housing markets including empty nesters, disaster relief, low income, multigenerational and single family, and Native American communities. Teams have gathered their combined interdisciplinary talents to design and build the houses, raise funds, furnish and decorate the houses, and optimize the houses' performance. The winner of the competition is the team that best blends design excellence and smart energy production with innovation, market potential, and energy and water efficiency. 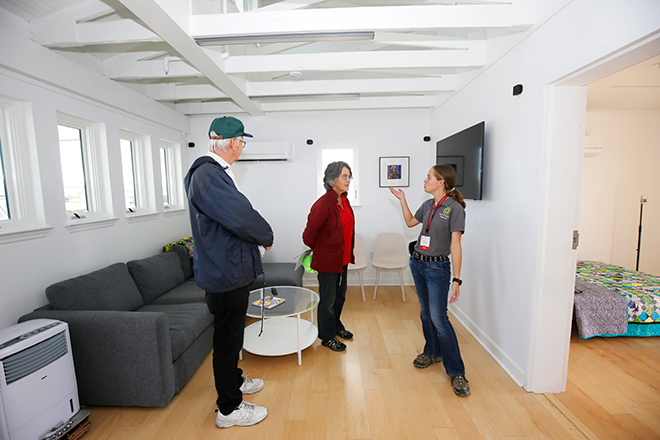 Photos - top: Chantel Jordi with Team Alabama talks about features of her team's Surviv(AL) house with attendees during opening day of the U.S. Department of Energy Solar Decathlon 2017. Bottom: The U.S. Department of Energy Solar Decathlon 2017 team from Washington University - St. Louis is ready for the competition. Courtesy Jack Dempsey/U.S. Department of Energy Solar Decathloon.